The Deluxe ball bearing HS-430BH is our budget-minded analog servo capable of 6.0 to 7.4 volt operation. 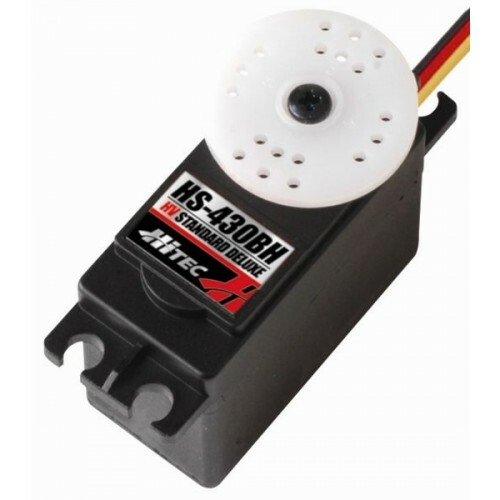 Designed with the novice hobbyist in mind, this low cost servo can be used for control surfaces on beginner airplanes and as a throttle or replacement servo for many ready-to-fly models. Its excellent durability and dependability make it a solid choice for beginner pilots.